In full protective suit, she gets up on stage, sends a flash from her middle finger and creates a feminist electricity show. Thunderstruck is inspired by inventor Nikola Tesla’s traveling magic power at the turn of the century, when electricity was both a scientific news and entertainment. The big star in the show was his invention, the tesla pole that creates great flashes. 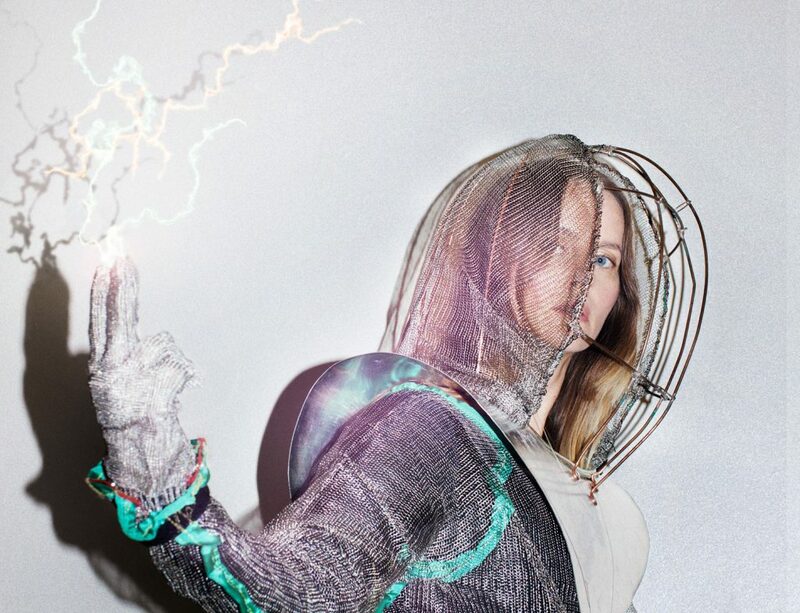 Now, Stina Nyberg is here to cure our lack of fascination for electricity and restore its former magic. Nyberg is a choreographer and works with dance, text, performance, light and darkness. With the help of interviews, experiments and her own tesla pole, she creates an experience of the invisible forces that surround us – an experience filled with electricity, energy and magic!